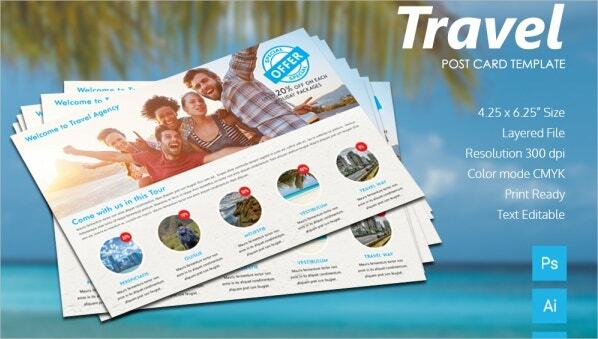 Travel package templates could be of various kinds and that includes brochures, posters, flyers, postcards, social media cover pages, letterheads and so on and so forth. If you’re planning to create any one of the above, you can take the help of these templates. All of them have been crafted with utmost care by professionals and would help you in ways you cannot imagine. To use them, all you have to do is hit the download option. You can also see poster Templates. 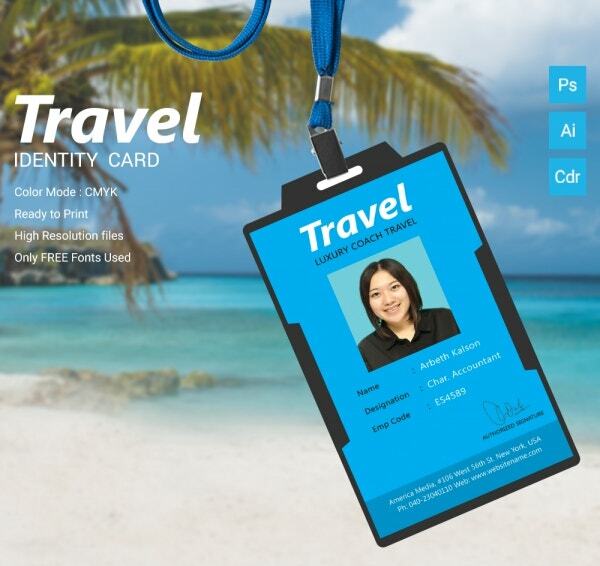 In case you’re planning to create an ID card for traveling purposes, you could use this template. The bright blue background creates the perfect ambiance for traveling. The color mode used here is CMYK and comes in a layered file. You would also be getting high-resolution files and it is all set to be printed. 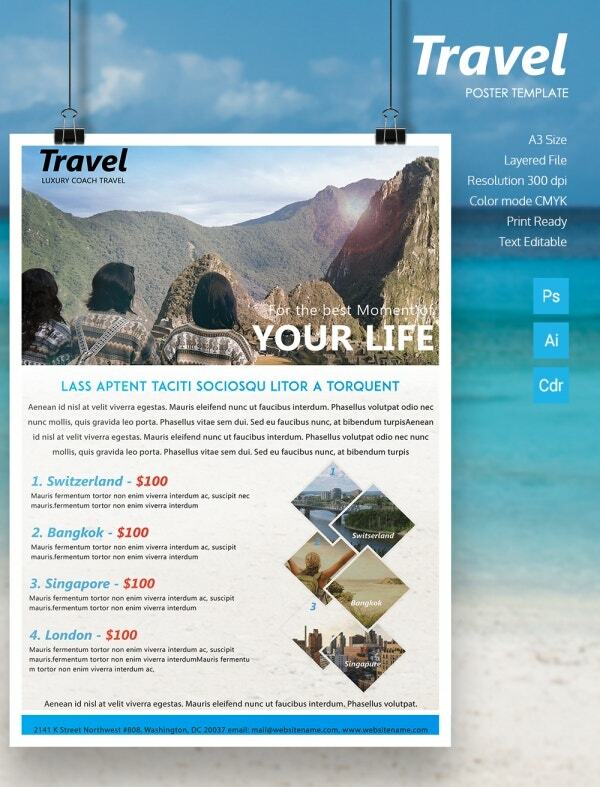 The blue and white theme used in this travel template is perfect for the cause. An invoice is a lot like a bill but only more detailed. The template comes in an A4 size format and is all set to be printed. It uses high-resolution files and also a number of free fonts. You’ll be glad to know that this template is completely editable. 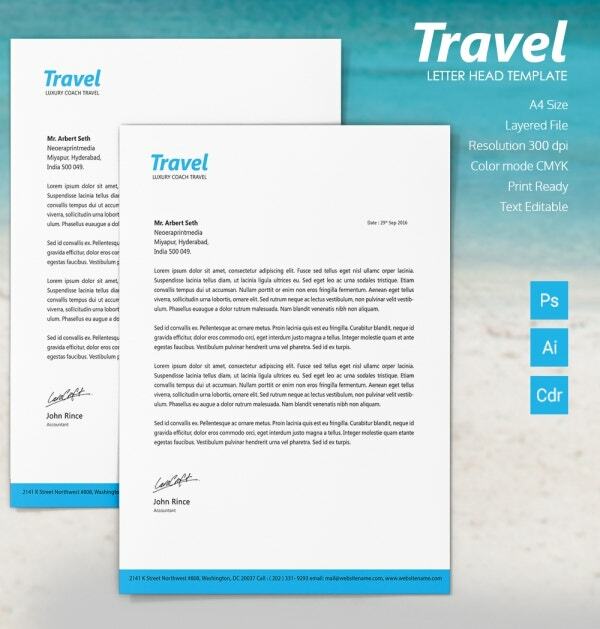 In case you’re looking for something formal when it comes to a letterhead, then you could take the help of this template. Here, you would be getting the template in an A4 size format and a layered file. You would also be getting images in a resolution of 300 dpi. Also, the text provided on the template is fully customizable. 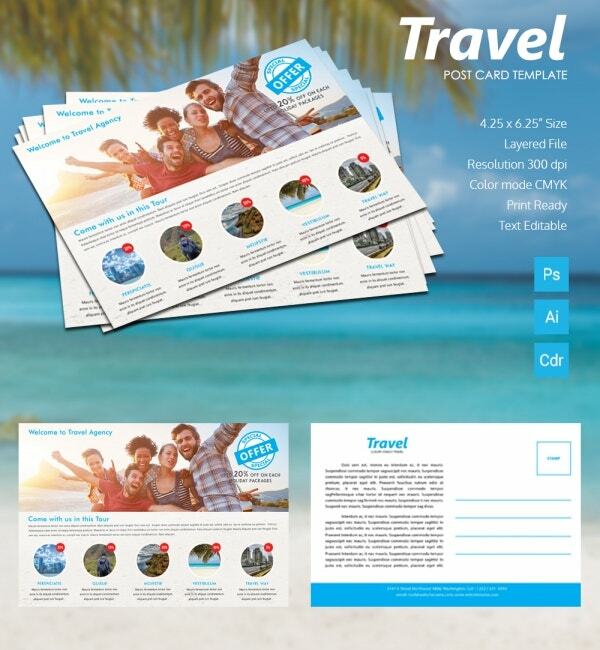 In case you’re planning to create a postcard, then you can take the help of this template. The best part about this template is that it is fully customizable. That means you will be able to download the template and then edit the details provided there to add your own. Having done that, the template is ready to be printed. A poster needs to be attractive and has a catchy headline. Well, that’s exactly what you get with this template. Here, you would be getting the stunning image that you see here and you would also get to edit the text provided here. That way, you can customize the template. You would be getting images at the resolution of 300 dpi. 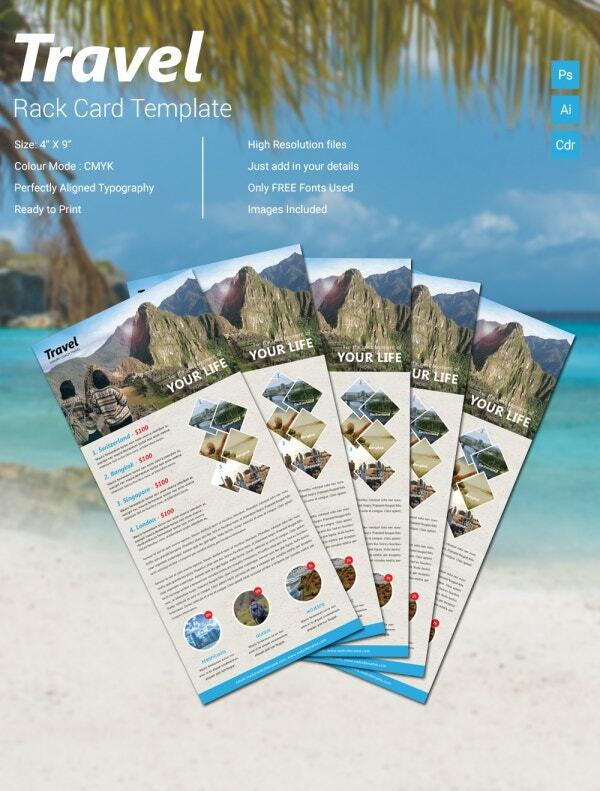 A rack card works in many ways like a pamphlet and that is the design this template has been modeled on. This template comes in a 4 x 9-inch size and contains a color mode of CMYK. Also, you would be getting a perfectly aligned typography in the template which you’re sure to appreciate. You can make your presence felt through the various social media platforms. If that’s what you’re planning to do, you must have taken into account the major platforms, namely Facebook, Twitter, and YouTube. 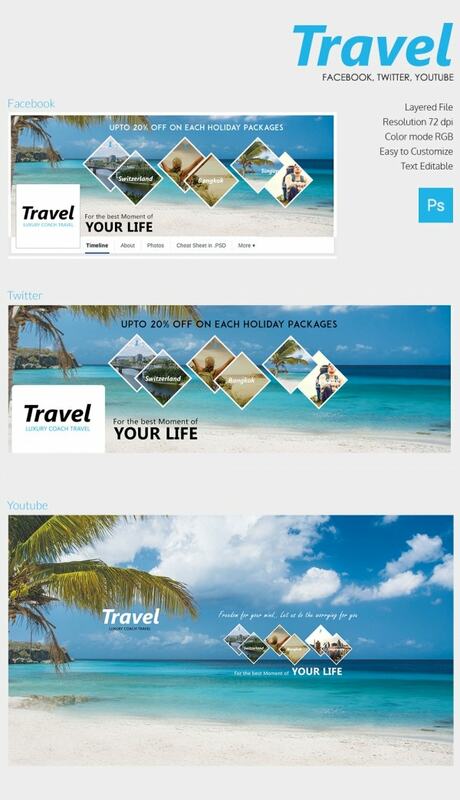 To design a cover page for each of these platforms, you can take the help of this template. 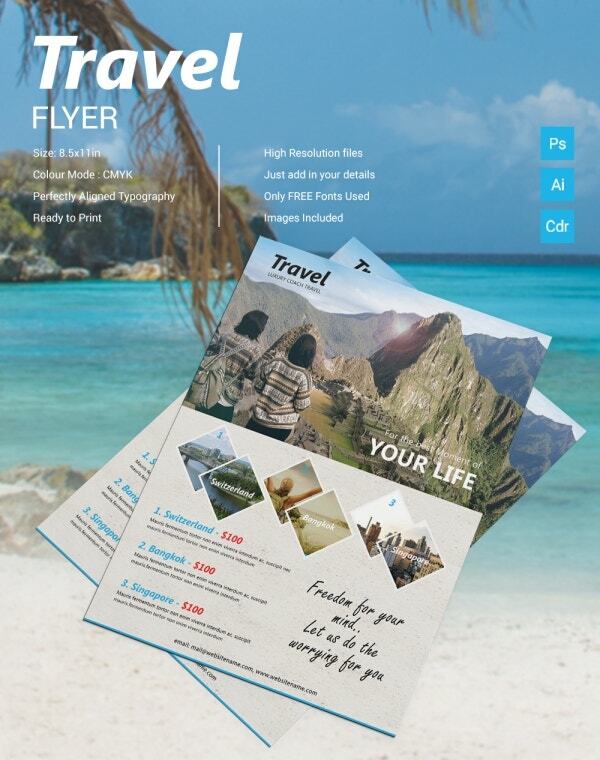 A tri-fold brochure would allow you to incorporate all your details into the brochure and would be providing you with ample space. The best part about this template is that it is fully customizable. That means you would be able to edit the template in order to suit your needs. 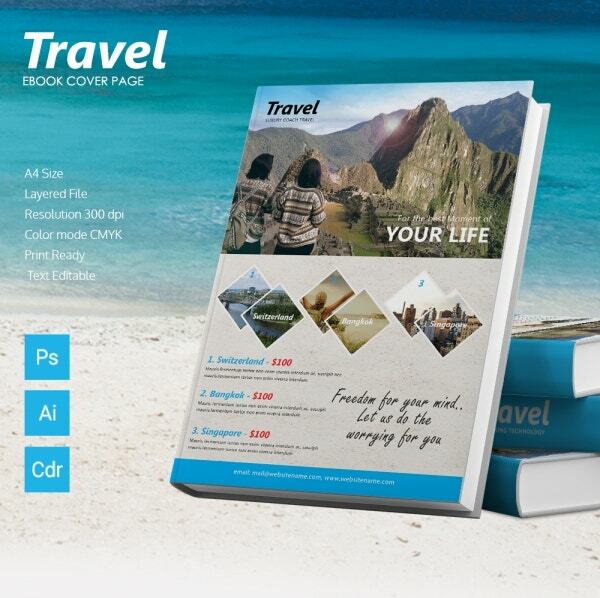 This bi-fold brochure template would allow you to arrange your details in an organized fashion. The template comes in an A3 size format and it also comes in a layered file. Also, you would be able to edit the text that is provided in the template to add your own details. Plus, the template is all set to be printed. 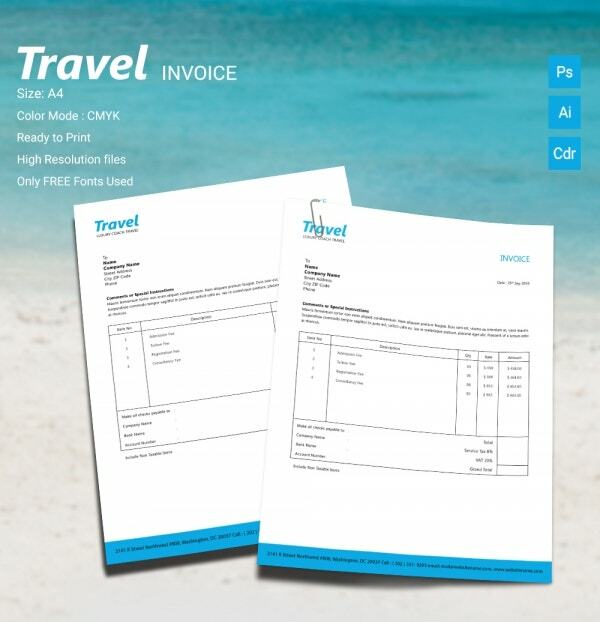 You can also see Travel Certificate Templates. 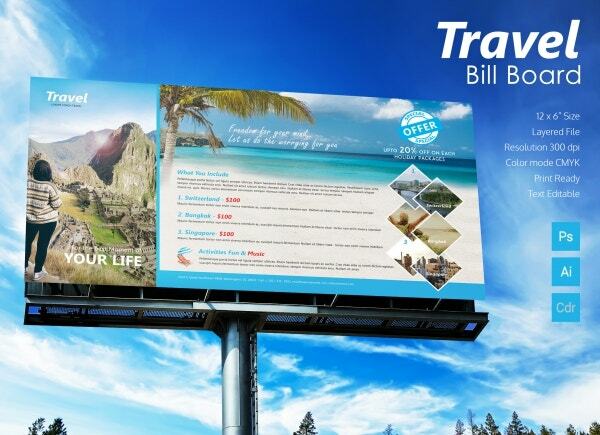 An ad banner would be the perfect way to advertise something. 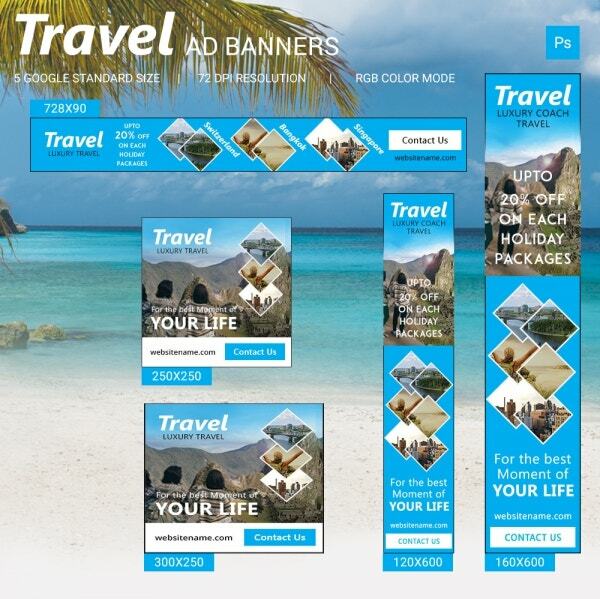 In this template, you would be getting five ad banners to use. All of these banners come in different sizes and you would be able to edit the template to add your own details. All the templates come in a 72 dpi resolution and an RGB color mode which you’re sure to appreciate. A billboard needs to be large and attractive. The striking blue background is sure to leave you impressed. Also, you would be getting the template in a standard size of 12 x 6-inch and in a layered file. You would also be getting the template in a fairly high resolution and they are all set to be printed. 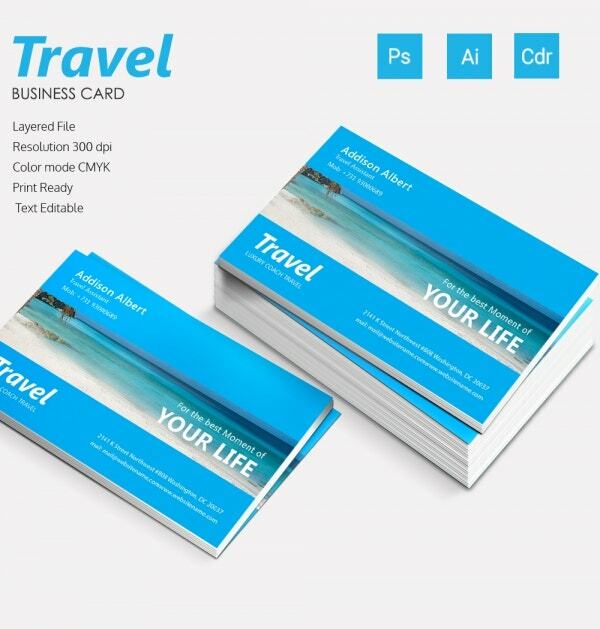 In case you’re planning to create a business card for traveling purposes, then you could take the help of this template. The blue and white combination in the template is sure to catch your eye. Also, the template has been kept as simplistic and professional as possible. You would be getting the high-resolution files in the template in a layered file. In case you’re planning to create an eBook cover page, then you could take the help of this template. The template comes in an A4 size format and in a layered file. Also, you would be getting the template in a color mode of CMYK and in high resolution. The template you see here is all set to be printed. If you’re planning to design an envelope for yourself, then you could take the help of this template. 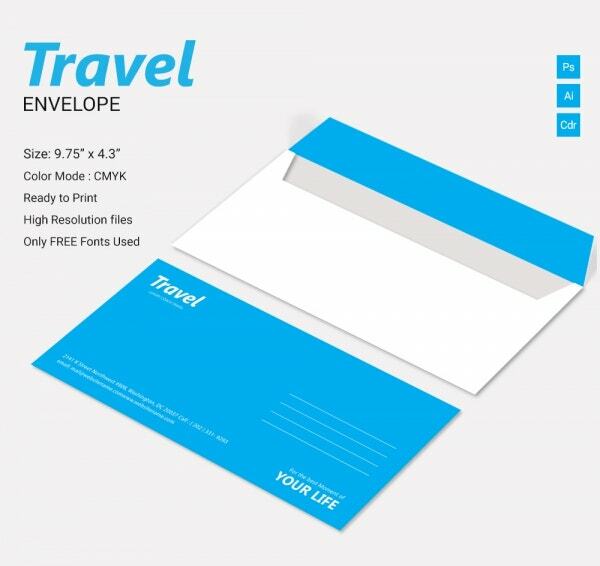 You would be able to customize your envelope just the way you please. The envelope you get here is in a 9.75 x 4.3-inch size layered file. You would also be getting high-resolution files and free fonts and the template here is all set for printing. 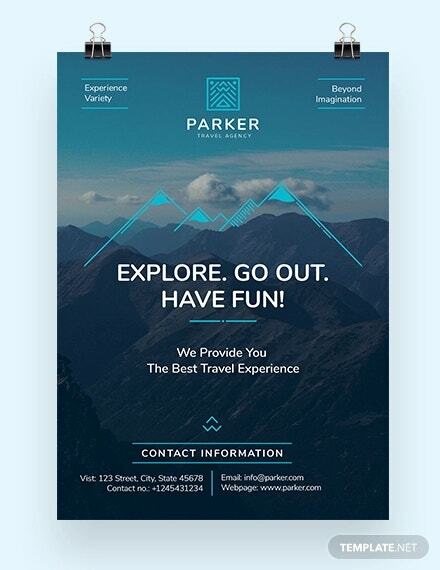 The flyer template you see here maintains a perfect balance between images and text. 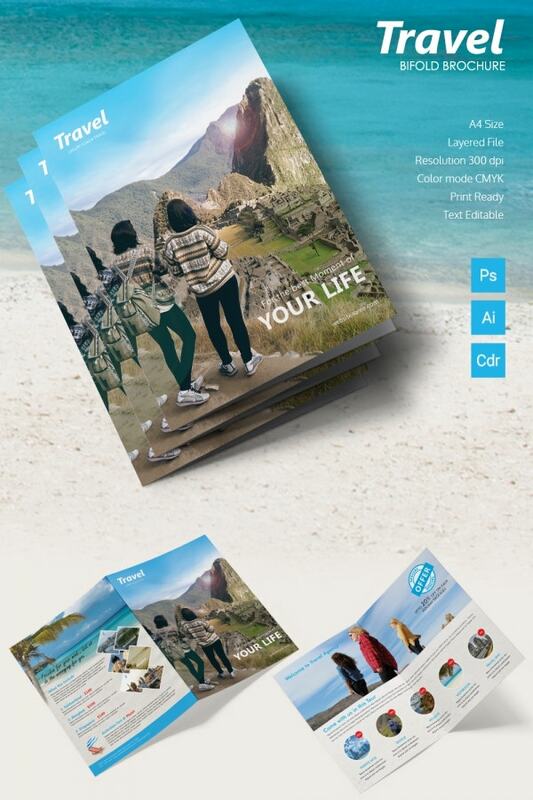 The first thing you notice about the template here is the image on top, which would be included as part of the package. You would also be able to edit the text presented on the template. You would find it easy to download the template and then customize it.